I went for a walk with a dog and its owner. 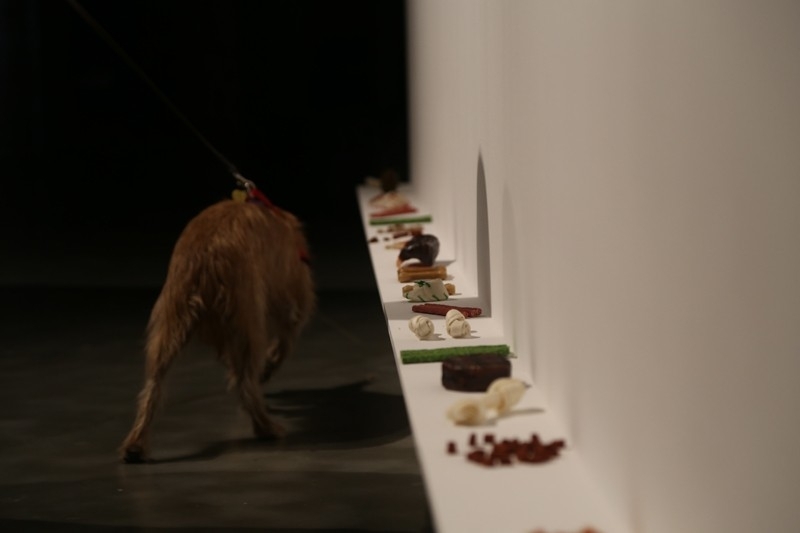 Each walk began at the gallery from where the owner and I follow the leashed or unleashed dog from 30min to 6 hours around Madrid. We followed the dogs wherever they wanted to go, stopped whenever stopped and ran whenever they ran. Along the walk, the owner and I attempt to figure out the places that seemed meaningful to the dog. We photographed the places. 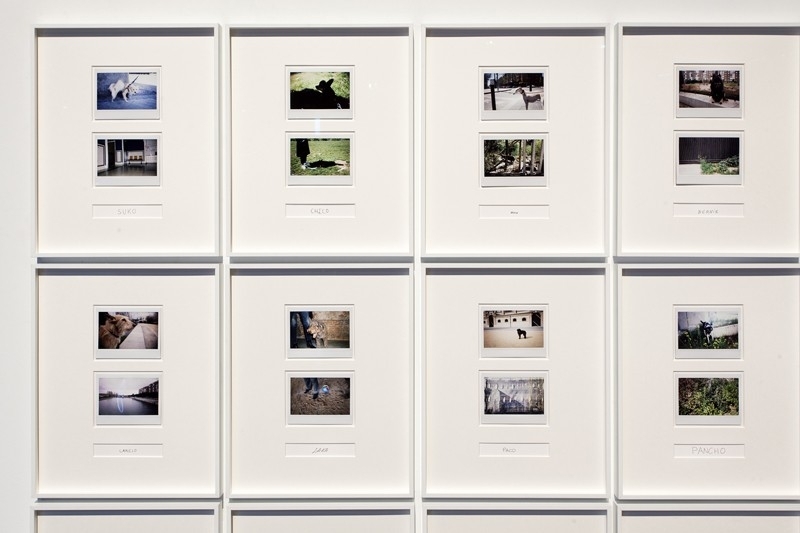 The photographic documentation functions simultaneously as a memory of the performance and a piece of its own, pairing the images of the dogs and the places which their owners feel might be meaningful, fun or comfortable to the animals. A Walk With You explores corporeal, sensual and instinctive human/animal experience of being in the world. 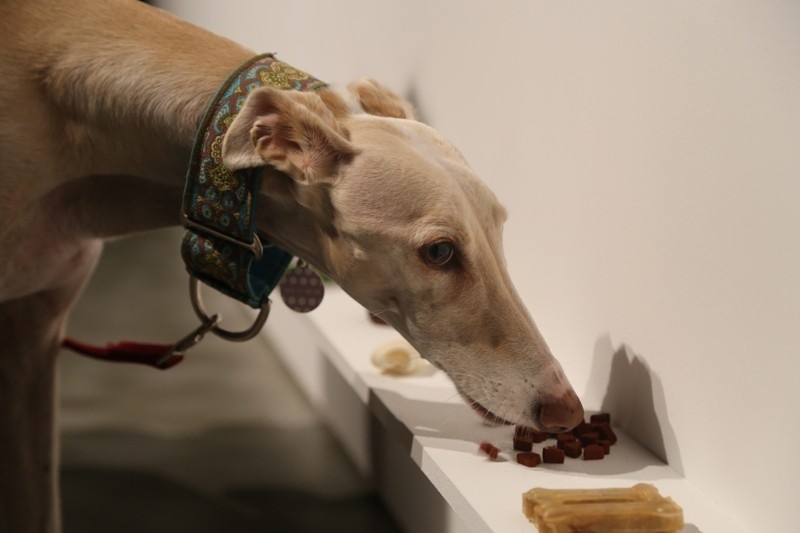 The intention of the performance was to create possibilities for communication and connection through sharing trust, intuition and decision making power between humans and non-humans. 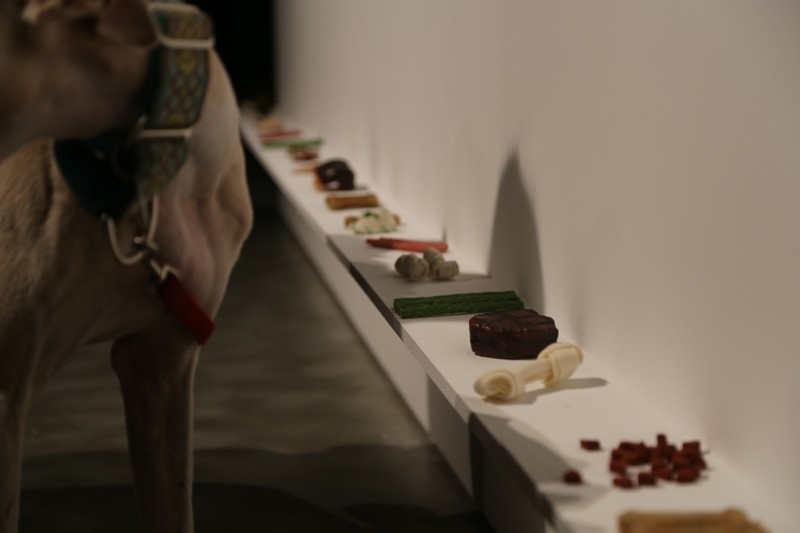 The documentation of the walks was shown alongside a wall piece for dogs at No Sabemos Volver Solos exhibition at Matadero Madrid. 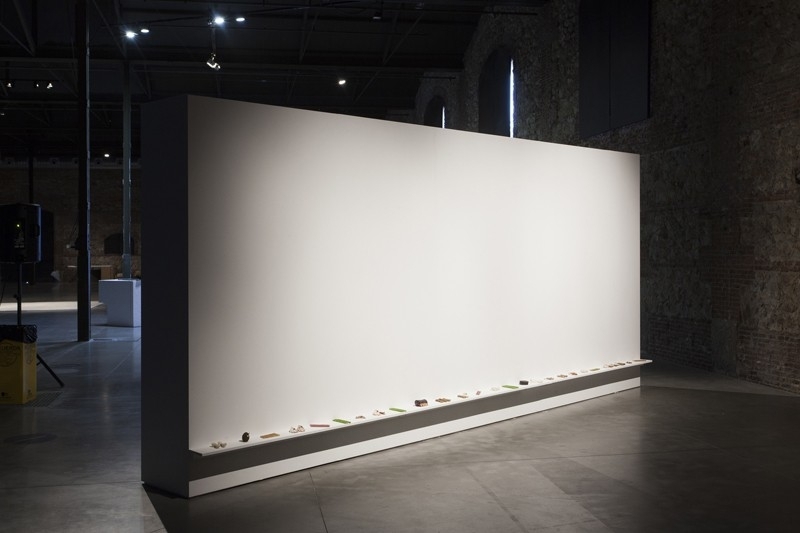 Developed and realised during El Ranchito residency at Matadero, Madrid. 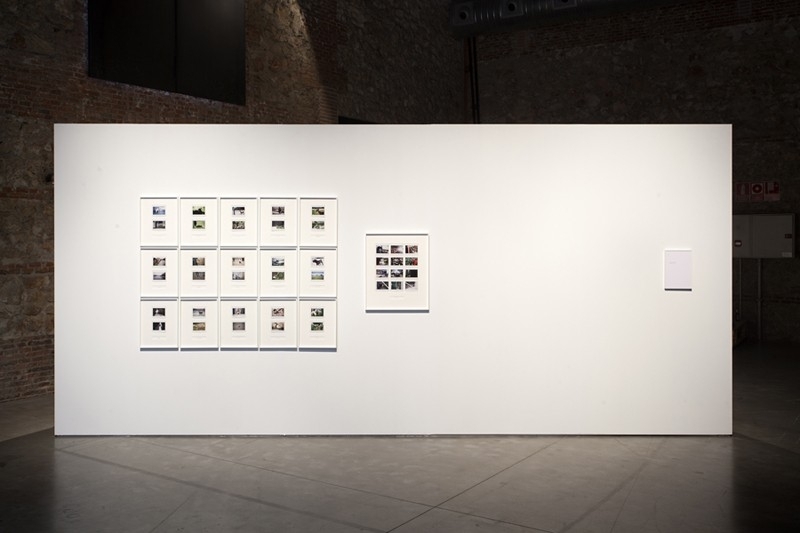 Supported by HIAP Helsinki and Matadero, Madrid.